A Medigap policy is different from a Medicare Advantage Plan. Those plans are ways to get Medicare benefits, while a Medigap policy only supplements your Original Medicare benefits and fills in the gaps that Original Medicare has.. There are 10 Medigap Plans to choose from. They’re labeled by letters A, B, C, D, F, G, K, L, M, and N (Plans E, H, I, and J are no longer available), and each plan letter has different coverage benefits. How Do You Get a Medigap Plan? 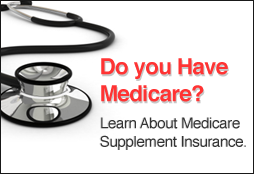 To qualify for a Medicare Supplement, you must first enroll in Medicare Parts A and B. Once you turn 65 and enroll in Original Medicare, you will enter your Open Enrollment period— the six-month period starting the first day of the month after you turn 65 and have Medicare Part B. During your Medigap Open Enrollment window you can not be asked Health questions , so you can not be declined and also PRE-EXISTING conditions do not factor into the approval process. Medigap plan monthly premiums differ depending on several factors. Different insurers also vary their monthly rates depending on actuarial models, though many offer discounts to those who live with a spouse. You do have the option to enroll outside of your Open Enrollment, but acceptance is not guaranteed, and you may have to pass a health underwriting exam. You can learn more about when you can buy Medigap plans here. What it means is the per cent in the box is the amount the Medigap policy covers. If you don’t have a Medicare Supplement, you will pay these costs associated with Original Medicare. Additional Information about Medigap Policies sold in the State of Nevada can be found on the State of Nevada Department of Insurance website.